The traditional microwave meal was always associated with TV dinners that could easily and conveniently be whipped up in two minutes. Just as our palates have improved with exposure to fancy dinners on TV programs, so too have microwaves become a lot more sophisticated. 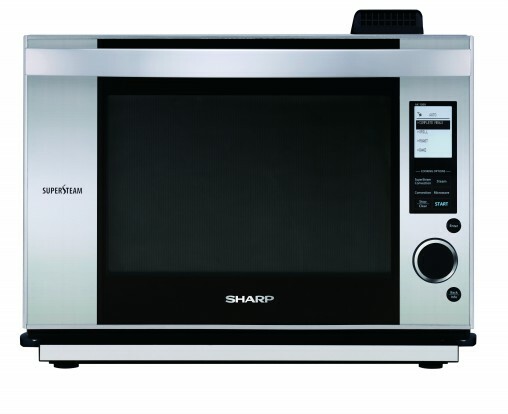 For example, Sharp has introduced its Steamwave (AX1100J, RRP $769) and SuperSteam (AX1500JS, RRP $1,319) Microwave Ovens to give consumers alternative ways to cook. Sharp’s countertop SuperSteam Oven with stainless steel fascia (AX1500JS, RRP $1,319.00) has six microwave power levels, as well as 42 pre-programmed auto cook menus, including auto frost and sensor reheat. The Steamwave is a three-in-one oven that can be pre-programmed to steam, grill or microwave. The steaming process can reach up to 95° Celsius on Steam Low and 100° Celsius on Steam High for Pure Steam cooking. Meanwhile the SuperSteam can cook food through roasting, grilling or baking. It also features three other cooking methods: convection, steam and microwave. 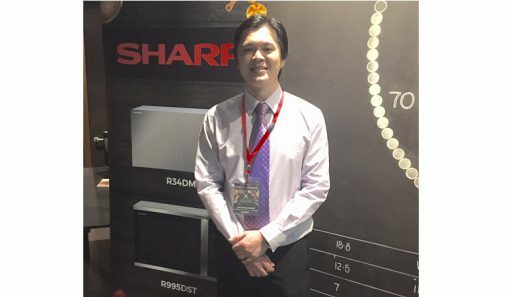 Sharp has introduced its “one-of-a-kind technology” inverter technology to allow for more even and controlled cooking into a range of its current line-up of microwave ovens. National marketing manager Mark Beard said this will continue to be a key focus for the company as it thrives to combine smart technologies into its products. “Consumers are becoming more adventurous in the kitchen and are looking to produce more professional, restaurant-style meals, as well as convenience cooking, which provides healthy food with plenty of flavour,” he said. Until the end of January 2014, Sharp is offering several bonus options when selected microwave models are purchased, including a gourmet cookbook, 14 piece Pyrex storage set, Sharp white or stainless steel toaster/kettle pack and Scanpan 5 piece knife block set. The steam function is also a hot topic for Omega, which believes it is the main function driving sales. “Even though compact microwaves are the most dominate segment, sales of convection and large capacity microwaves are growing,” said product development manager Darren Sharvell. To complement the rest of its cooking range, the Omega line-up consists of three models: a standard stainless steel 30-litre microwave (OM30X, RRP $329), a microwave with grill (OM30GX, RRP $370) and a microwave with a combination of convection and grill (OM30CX, RRP $469). All models feature stainless steel cavities, auto cook menus and speedy cook function. While microwaves is no doubt a big category, Breville believes it has been neglected in recent times, both in innovation and advertising. Senior category manager Sharon Lenzner said the microwaves category was worth $185 million in Australia — around the same size of the total coffee machine market — yet not $1 of the $60 million spent promoting kitchen appliances over the past 24 months promoted microwaves. “Breville sees this as a timely opportunity to reinvigorate the category, just like it has done for manual espresso, by introducing innovative products that solve real food challenges, and by investing in television advertising to promote microwaving,” Lenzner said. The focus for the company is its Quick Touch microwave range, which has a setting that can calculate the right power level and time needed to cook, reheat or defrost food. According to Lenzner, using a microwave with pre-programmed settings without references to an instruction manual can be difficult. “That’s why most people only use the instant start button, which blasts everything at 100 per cent power. This leads to disappointing results as adjusting the power level to suit the food type is critical to achieving a consistently good outcome. “The future is all about developing innovation that focuses on greater ease of use and superior food results,” she said. One notable feature on the Quick Touch is ‘A Bit More’, a setting was pioneered on Breville toasters. This adds an additional 15 per cent of the programmed cooking time at the right power level. 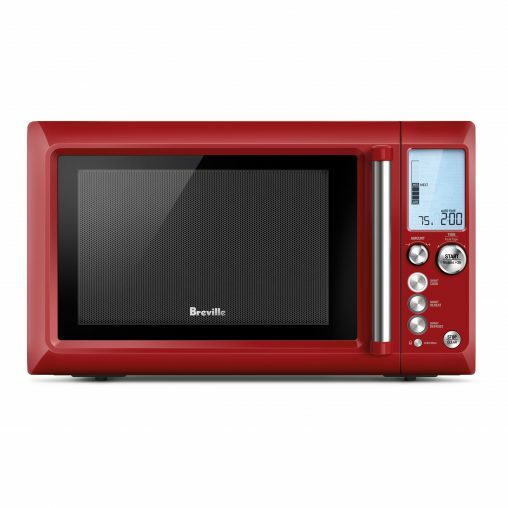 Available in stainless steel, white, cranberry and black sesame, Breville’s Quick Touch microwave (BMO634, RRP $399.95) features ‘A Bit More’ setting that adds 15 per cent extra cooking time to the programmed time with the touch of a button. Jimmy Kalotheos, Smeg national marketing manager, admitted for the last few years there has been a polarisation in the microwave oven sector, where some would only want to use the appliance to reheat food while others wanted the appliance to do much more. “With the microwave oven sector rapidly becoming segmented into low price, inferior quality food warmers and mid-to-high range multitasking ‘ovens’, Smeg has benefited from a comprehensive collection of appliances that appeal to many buyers,” he said. The brand’s collection includes compact ovens in both the Classic and Linear design, in combinations of microwave and grill or microwave with convection and grill. Kalotheos said one of the most popular appliances in the Smeg microwave line-up is the microwave oven and grill with steam function (SBIM30X, RRP $1,090). “This has successfully tapped into the healthy food agenda of many consumers and has been a strong performer throughout the year,” he said. 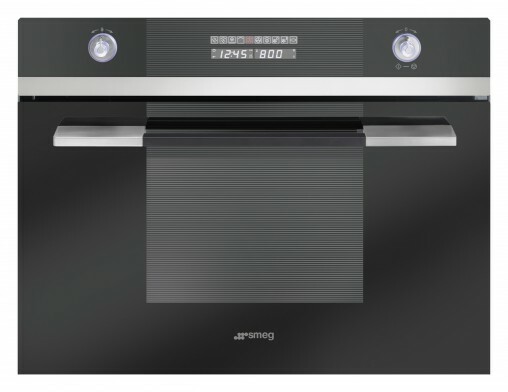 Sporting a black glass and satin stainless steel exterior, Smeg’s Linear Convection Microwave and Grill (SC45MCNE2, RRP $3,290) is capable of defrosting by time or weight and cook a pizza with its fan forced functionality. Miele believes its release of its new Generation 6000 Microwaves and Speed Ovens range, available in built-in and benchtop models will make a mark in the category. “With the introduction of Generation 6000 appliances, Miele Australia expects to continue to experience strong growth of microwave and speed oven sales,” said food and beverage preparation product manager Thorsten Kissel. Miele Generation 6000 Built-in Speed Oven (H 6800 BM, RRP $4,999) reduces cooking time by up to 30 per cent and combines traditional oven functions with microwave power. It features electronically controlled automatic programmes, electronic sensors, a food probe, a QuickStart microwave function and even a dedicated popcorn button. Like Miele, Gaggenau also places enormous importance on the design aspect of its microwaves. To match the Gaggenau 200 and 400 oven series, Sampford IXL, the local distributor of the brand, is bringing to market in early 2014 a range of microwaves that will be available for pre-order through major appliance retailers in November. The range includes 45-centimetre or 38-centimetre high combi-microwaves and microwaves in a selection of colour finishes and installation options. At the forefront is its 400 Series Combi-Microwave Oven (BM 45, $6,999), which offers single or combined microwave, grill and oven operation and up to five operating modes, including combi and idling modes that can be preset in advance. “Maximum function and an iconic design language distinguishes the new Gaggenau 200 and 400 series microwaves,” said Gaggenau brand manager Frances Lynch. 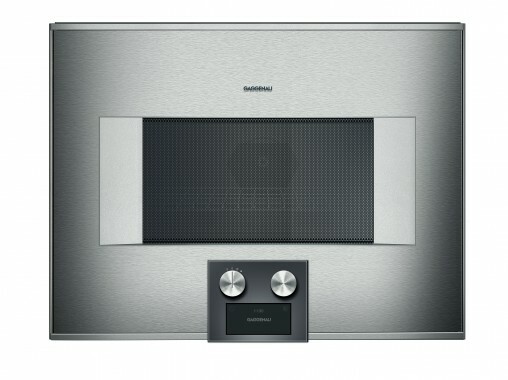 Gaggenau’s 36-litre Combi Microwave (BM45, RRP $6,999) measures 45 centimetres high and can offer single or combined microwave, grill and oven operation, followed by up to five operating modes, including combi and idling. Cooking with the microwave is also no longer restricted to heating up individual meals and manufacturers are now catering to larger families. LG has designed 10 models for its 38-litre range available in white or a stainless steel finish. The hero of the range is the Round Cavity Microwave Oven with Sensor (MS3882XRSK, RRP $369), which features LG’s i-wave technology that utilises the interior Echo Reflection Design to microwave and reheat more evenly. The microwave’s Sensor Cook capabilities also makes home cooking easier for the consumer with a variety of auto menus to take the guesswork out of cooking. “As consumers increasingly demand products that can save them time, LG microwaves have undergone multiple technological advancements to respond to this,” said head of public relations Phillip Anderson, who believes there is a renewed focus on the aesthetics of home appliance products. Fast cooking, however, does not mean consumers have to compromise on taste, according to Fisher & Paykel brand manager Kara May. “Our Combination Microwave Oven (OM36NDXB1, RRP $2,299) shows that ‘quick and easy’ can be tasty and delicious, with its multiple features and convenient preset functions, the consumer has the control to program the product to suit their needs at the time,” she said. This oven is part of the brand’s Companion Range of built-in-appliances, made up of a Compact Oven, Steam Oven and Coffee Maker, which are all 60 centimeters in height and width. Featuring 10 different cooking modes, the Combination Microwave Oven comes in a black glass to match the rest of the company’s range and has functions, such as reheat, defrost, bake and grill. Whirlpool trade marketing manager Marco Torressi concurs, saying that while consumers are after convenience when cooking with a microwave, they also want genuinely good tasting food. “Many consumers still think of a microwave as a product that heats up food and drinks, not something that can cook properly like a real oven; for example, cooking meat from raw to a crisp finish,” he said. The Whirpool Crisp N’ Grill Microwave (GT286) has been designed to cook like an oven. Available through Castel Electronics in black or white (RRP $399) or stainless steel (RRP $449), it features a crisp plate and a 3D Distribution System, which dispenses heat through two emission points so that food is cooked evenly even when roasting a chicken or heating up pies and pizzas. Another feature is the Jet Menu Defrost option so users select the food type, set the weight and press start and the food is defrosted in half the normal time. The Crisp N’ Grill also comes with accessories to steam meat or vegetables for quick and easy healthy meals, and the Magic Clean technology, with the splatter and spill resistant coating, reduces cleaning time. Panasonic’s goal is to demystify the notion that all fast food is unhealthy, according to product marketing manager of microwaves Nicolas Cauzac. “Increasingly, health-conscious consumers are seeking more ways to make quick, easy and most importantly, nutritious meals for their families,” he said. Panasonic current microwave range has 18 models, with capacities ranging from 23 litres to 44 litres. The integrated inverter technology on selected Panasonic models delivers graduated power continuously so food is cooked more evenly, preserving texture and flavour, along with preventing spill-overs and burnt edges. 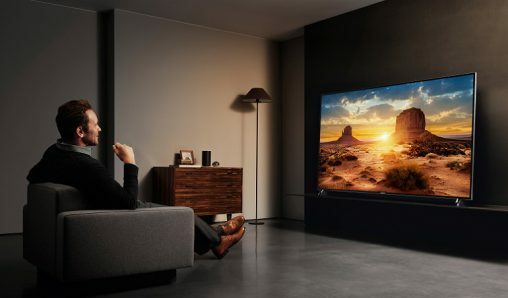 Bosch and Siemens Home Appliances Group (BSH), responsible for Bosch and Siemens, has been experiencing an increase in market share and sales in both brands, reported consumer appliances product manager Monica McCormack. She attributed this growth to the follow-on effect of in-store purchases made in conjunction with other major appliances from these two brands. At the same time, combination microwave ovens are also proving popular, due to their increased functionality. “This technology advancement enables microwaves and conventional ovens to operate independently, as well as a combined appliance, optimising cooking capabilities,” she said. According to McCormack, while freestanding microwaves are still the major player in the market, built-in alternatives offer huge advantages. “As space becomes increasingly expensive, we are seeing a continued trend towards compact appliances as opposed to freestanding,” she said. Delivering on both attributes of space saving and functionality, Bosch’s Combination Compact Oven with Integrated Microwave (HBC84K553A, RRP $2,899) continues to be the brand’s top-seller. This microwave doubles as an oven and boasts five cooking and heating methods, 900-watt inverter technology, a 42-litre cavity and illuminated, retractable electronic controls. Meanwhile, Siemens Combination Microwave Oven (HB86P575BP, RRP $4,649) has 14 cooking and heating methods, 1,000-watt inverter technology and automatic self-cleaning. To widen its consumer base as much as possible, Blanco is catering to both freestanding and built-in customers. The 32-litre built-in convection microwave (BM32CX, RRP $599) has 10 pre-programmed auto-cook options, multi-combination cooking incorporating grilling, convection, and multi-stage cooking. 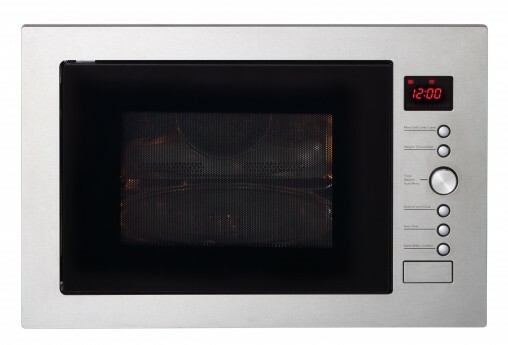 Alternatively, the company’s freestanding microwave (MF34STX, RRP $499) has multi-stage cook and six 1-touch options, including vegetable and pasta, which are pre-programmed to cook the dish. The 32-litre Blanco convection microwave (BM32CX, RRP $599) can cook 10 family favourites, including fish, roast chicken and pizza, using its pre-programmed auto-cook options. To support the launch of these ranges Blanco has invested $2 million across its showrooms in Australia. “This investment is important to drive retail sales to help with training, pre-purchase referrals and post-purchase advice, classes and events,” said national training and showroom manager Mary Karagiannakis. Electrolux Home Products has three key pillars of culinary enjoyment guiding its microwave oven strategy: better results for consumer food, sustainability and professional heritage. “Like when we brought induction cooking to the forefront of consumers’ minds with Wakuda Tetsuya as brand ambassador, we strive to do the same in the case of combination microwave and combination steam cooking,” said food preparation category manager Troy Hinchco. As a result, Electrolux is focused on bringing combination ovens with either fan forced or convection cooking, as well as microwave or steam cooking technology to achieve this outcome. For instance, its AEG 45-centimetre combination oven (MCC3881E-M, RRP $2,649) has an automatic weight cook and defrost program, ProSight touch display and nine programmed functions. Similarly, the Electrolux 38-centimetre compact microwave, grill and fan forced oven (EVEM677BA, RRP $3,249) lets users program their own preferred cooking mode, which can be saved for next time. According to Hinchco, given the importance of family meals, it is important for consumers to invest in a product that will last. “I believe combination microwaves and combination steam cookers are true examples of why buying a quality product will reward people in the long term compared to cheaper products on the market,” he said. The newest addition to Samsung’s microwave range is the 32-litre convection microwave (MC32F6C6TCT, RRP $699), which combines microwaving, grilling and convection. The Samsung 32-litre convection microwave (MC32F6C6TCT, RRP $699) is a microwave, grill and convection oven with the ability to help create homemade yoghurt and rise dough with its fermentation function. 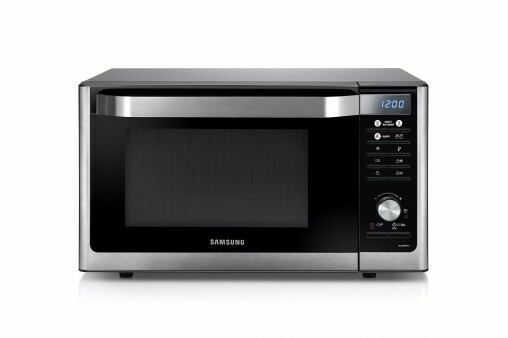 “The combination microwave segment is a popular choice for many who buy Samsung microwaves, highlighting that Australians are willing to invest in premium models, such as Samsung’s latest convection microwave, which includes some of our most advanced features like Slim Fry Technology and fermentation functions,” said head of home appliance Mike Lilly. He also said the best way to approach the sale is to consider what kind of features will best serve a household. “There are many different microwaves available on the market, even just in the Samsung range with different capacities. 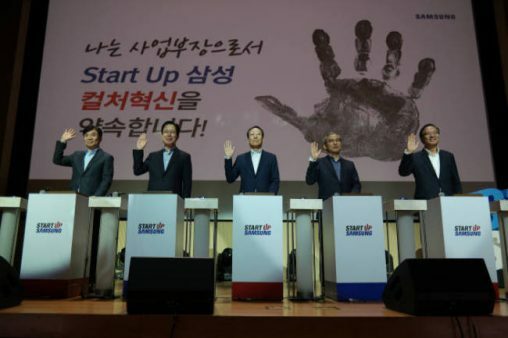 Often consumers aren’t sure what they are looking for and what will work for them,” he said.